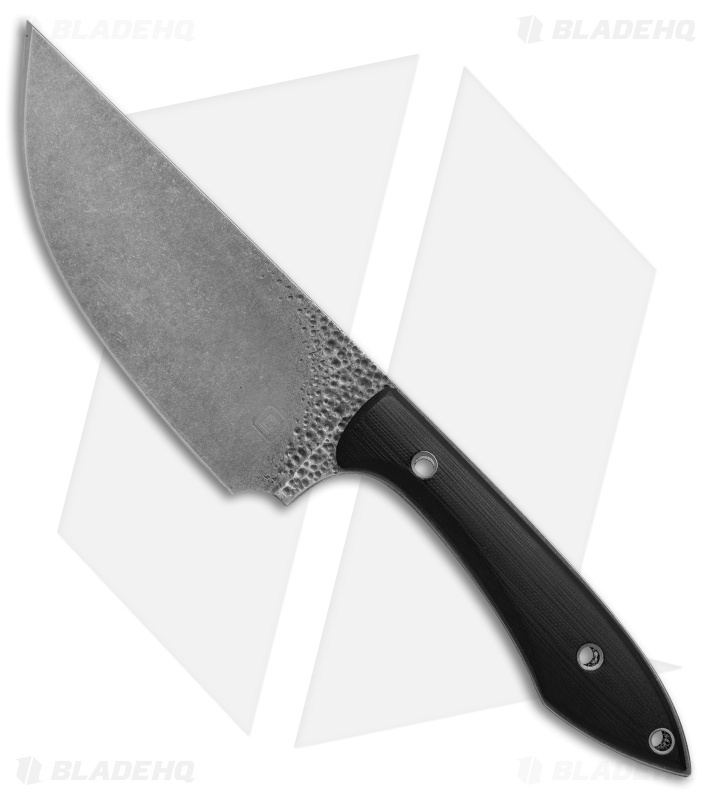 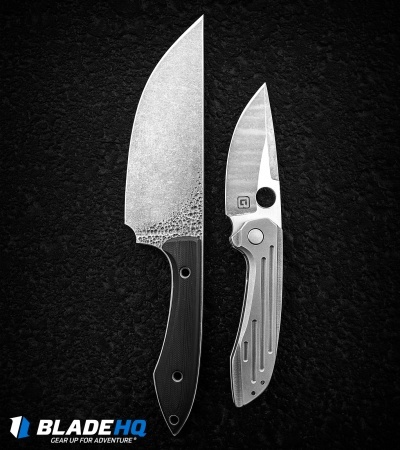 The TuffKnives Wasteland features a functional chef knife design with all the custom trimmings. 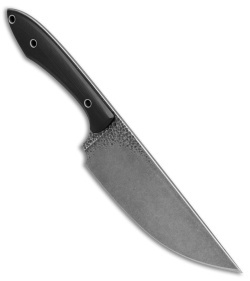 It has a full tang acid washed blade with a dropped belly and stylish pitting near the handle. Black G-10 handle scales provide a clean look and a reliable grip in wet conditions. 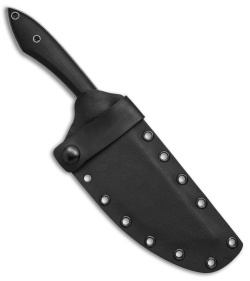 Item includes a kydex sheath with a leather belt loop.